Noodle is one of the most popular comfort foods that can substitute the meals. There are two main noodles used to prepare Burmese Khow Suey. They are Egg noddles and rice noddles. Both noodles can be served in different form of Khow Suey such as salad, stair fry, and soup. Rice noodles and egg noodles are made from unleavened dough that has been stretched but obviously, they have different ingredients. Since there are different ingredients in these noodles, they have some different nutrients and health benefits. You can check the differences and benefits of both noodles and decide which one is more suitable for you. It contains egg, wheat flour, salt and water. Egg yolk is used as coloring ingredient to make the noodle yellowish. Let’s talk about nutrition in egg Noodles. Since egg is part of the raw ingredient of egg noodle, it has high protein level. On the other hand, egg noodle is also rich in B vitamins. Egg noodles are high in carb but not as high as rice noodles. Since egg-noodle is made from wheat flour, the level of carbohydrate is quite high and the calories come from this. A cup of egg noodle (40 gram) contains about 220 calories. If you are mixing the egg noodles with other ingredients to serve, the amount of calories will increase. There are many benefits of egg noodles and it is healthier than white rice. The amount of protein is high which can give you lots of benefits for you body. It is great for the kids because young kids need high protein intake for their body growth. Even though egg noodle is high in carb, the amount of calories is lower than white rice. Therefore, egg noodle can be part of your meal if you are on a diet. Egg Noodles is used for Burmese traditional coconut Khow Suey, stair fried Khow Suey and Khow Suey salad. Rice noodles are made from rice flour and water. Since the main ingredient is rice, it has low protein level and high carbohydrate level. Rice-noodle can also be served as soup, salad, or stair fry and you can enjoy the natural taste of rice. White rice is very high in carb and consider not healthy. Therefore, the rice noodles that made from white rice flour have high calories. If you would like to choose healthier rice-noodles, you can try rice-noodles that made from brown or red rice flour. Those rice noodles are rich in color and have lower calories. Rice contain zinc and iron that are essential mineral for human body. It also contains protein but lower than egg noodles. The rice noodles that are made of brown and red rice are richer in fiber and healthier for your body. 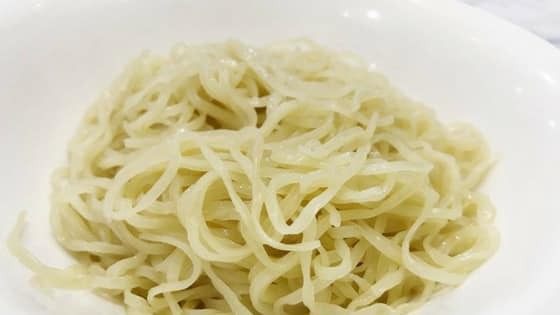 Since it is quite high in carb, you should consume small amount of rice-noodle if you are on a diet. Rice noddles is mostly used to cook Mohinga and Nan Gyi tote.